When you live in a beautiful scenic part of the world, all four seasons are magical. Yes, even winter in Maine! Put temperatures aside (remember…there is no bad weather, just bad clothing). In Maine people embrace the seasons and embrace what each season has to offer. 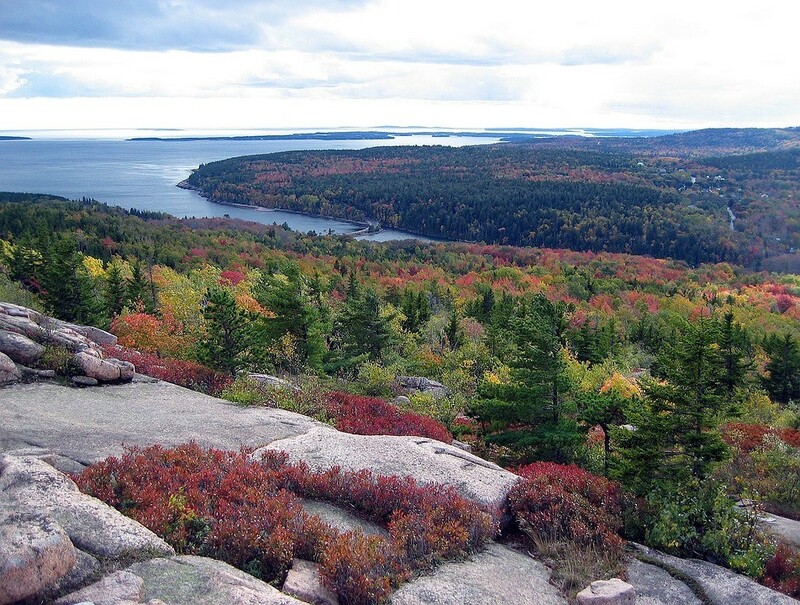 Let’s take a look at the four seasons on Mount Desert Island, a beautiful scenic part of the world. The island is the largest island off the coast of Maine. Located near the mainland dotted with towns, villages, scenic roads, hiking trails, harbors, coves and hidden beaches. 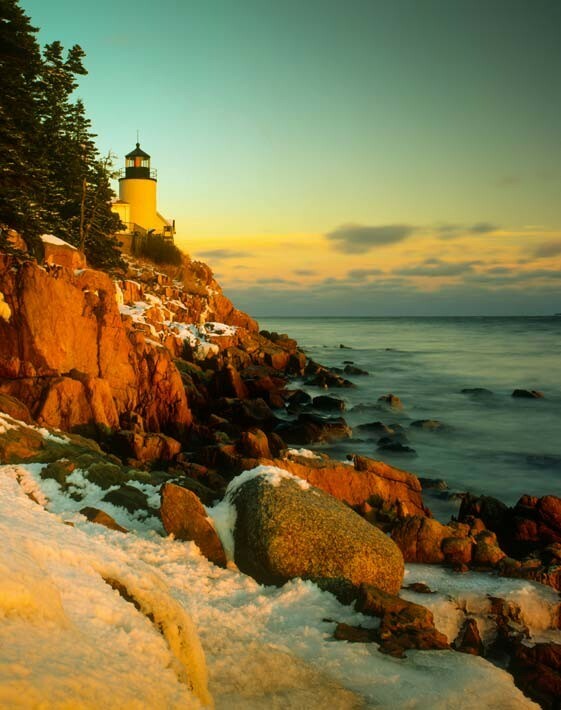 Oh yes, can’t leave out Acadia National Park which encompasses most of the island. A park where visitors can experience ocean, lakes, mountains, woodlands and wetlands, all in one day exploring. Cadillac Mountain, the highest mountain along the Atlantic coast is famous for stargazing and viewing the sunrise and sunsets on it’s peak. The scenic beauty of Mount Desert is breathtaking from the top of Cadillac. Back to weather, because it is a frequent and much debated subject in Maine. Worth embracing. Following are quotes from a legendary Bar Harbor native, teacher and innkeeper, Marian Burns. WINTER-The ocean moderates our winter climate just like it moderates the summer climate and moderates the fall – giving us long, relatively warm falls. We are the first place to get the sun in the United States in the morning (4:30 AM in May) and the first place to get dark in the winter (4:30 PM in December). When the days begin to lengthen, the cold begins to strengthen, an old Maine saying-and it’s usually true. It can go to zero in January at night, but rarely does so. The average daytime temperature in the shade is 32 degrees. Marian Burns passed away a few years ago. She was innkeeper/original owner of the Mira Monte Inn & Suites. A true expert on her much-loved Bar Harbor and Acadia National Park (plus many more subjects). She loved to engage with her guests and anyone else who would listen! At Mira Monte, you came as a stranger, you left educated! The B&B Team has four Mount Desert Island properties for sale. All with their own unique features and appeal for travelers to the island. The Mira Monte Inn, a Bar Harbor Maine Bed & Breakfast, is one of the original grand homes built as an elegant summer retreat in 1864. Named Mira Monte in 1890 to describe the beauty of its’ location, ‘Behold the Mountain’. Early settlers and later ‘giants of industry’ came for the beauty and the climate. People have been coming ever since! The Inn features two outer buildings in addition to the main house, making the property a small compound with a center garden filled with native plantings. Beauty to behold. Marian’s son and daughter-in-law now run the inn and are now ready to pass ownership to the next keeper of the Inn. 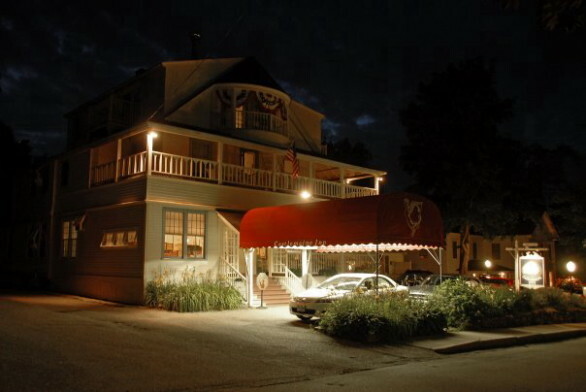 Castlemaine Inn was built in 1886 as a summer residence. Striking architectural details and antique furnishings honor the history of this Bar Harbor landmark. 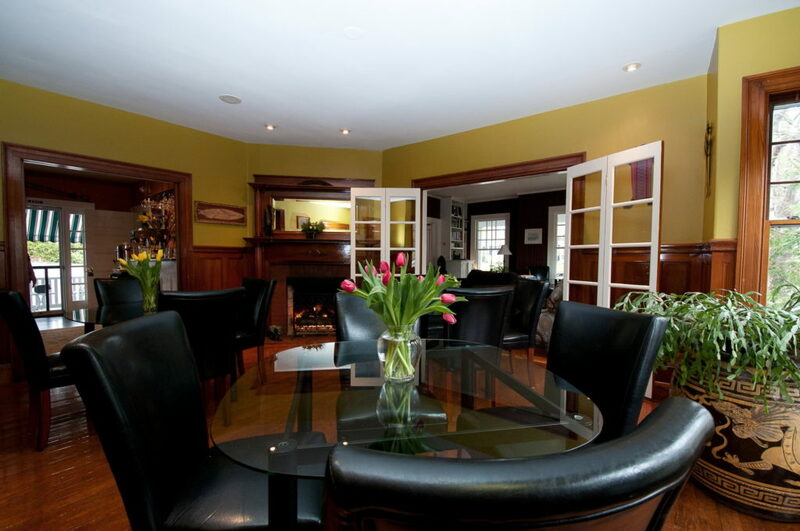 A traditional bed and breakfast with historic charm. Conveniently close to downtown. Leave your car and explore! 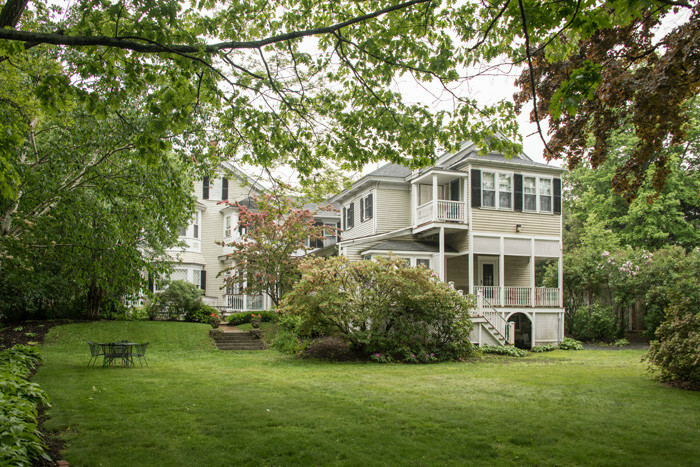 Opportunity to own a piece of history in the heart of Bar Harbor. Lindenwood Inn in Southwest Harbor, a charming hamlet close to Bar Harbor. Often called ‘The Quiet Side’ of Mount Desert. The Inn is a 1904 shingle cottage, now transformed into a stylish and contemporary bed and breakfast. Located in the heart of the Southwest Harbor, a short stroll to the village center. Open Hearth Inn & Cottages. 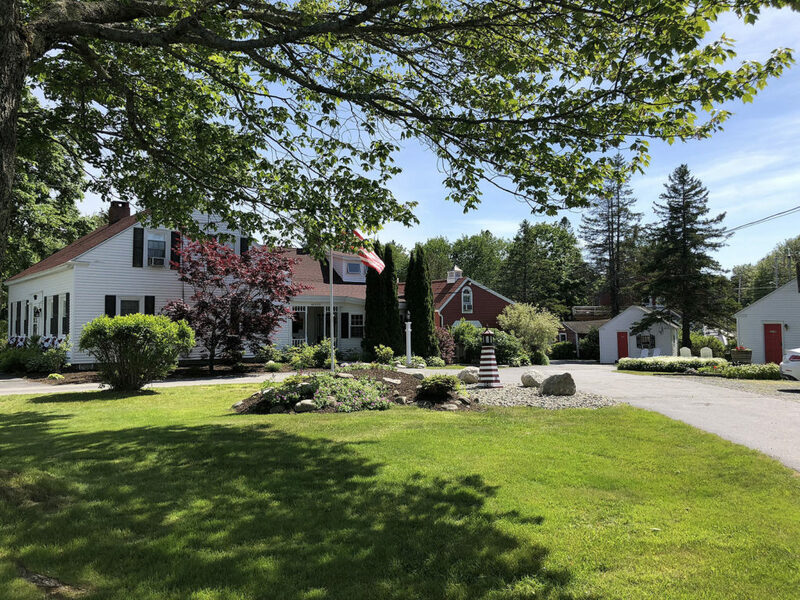 Located on Route 3 at the head of Mount Desert Island, the property is 12 miles to Bar Harbor. Roadside cottages have made a resurgence in popularity as a nostalgic, convenient and economical lodging choice. Recent renovations and upgrades make this property a must see. More weather reports from Marian. SUMMER-The climate is near perfect for all types of activities. The cool ocean gives us sea breezes almost every night—cooling the air from a daytime temperature in the low 80s to mid-60s at night. SPRING-This combination of air currents can be the inspiration for a great vacation. Flowering trees and shrubs such as the gorgeous wild pears, cherries, apples, mountain ash, native viburnums and rhodora burst forth throughout the hill meadows and roadsides—responding to long hours of daylight. Insects don’t like the cool breezes either and are slower to hatch. FALL-The ocean helps keep us warmer in the fall—our first killing frost is usually after October 20th and sometimes after November 1st. After that happens, we get what I call the “afterglow”. The fallen leaves expose the smaller shrubs on the forest floor, all of which add their unique colors to the show and the red oaks come to the forefront with their burgundy colors along the roadsides. Would you agree that these four-season descriptions are worth embracing? When you take the time to stop, observe and take deep breaths, that is when you can truly embrace the seasons-Mount Desert Island. Proper clothing required, especially if it is from LL Bean! Start your journey as a Mount Desert Island innkeeper. Please visit our links to all four of our listings. The B&B Team is here to guide your way in all seasons. I will end with one of Marian’s observations on life. She believed that if you didn’t change your career at least five times in your life, you were doing something wrong. Are you ready for a career change? This entry was posted on Friday, October 5th, 2018 at 2:52 pm	and is filed under Innkeeping Business. You can follow any responses to this entry through the RSS 2.0 feed. Both comments and pings are currently closed.